The Russian office of the international company Seven Refractories decided to automate the management accounting on the basis of Microsoft Dynamics NAV 2016. Mindcore company will provide pre-project preparation, Microsoft Dynamics NAV 2016 adaptation to customer requirements, implementation, and integration of the solution with already used accounting systems (1C: Accounting). The project will be divided in two stages. At the first stage Microsoft Dynamics NAV 2016 will be implemented in the Russian office and integrated with the head company in Slovenia. At the second stage the integration of Microsoft Dynamics NAV 2016 and 1C accounting system will be made, which is used now in Russia for submission of tax reports to the proper authorities. For data exchange between the Microsoft Dynamics NAV 2016 and 1C: Accounting the official add-on solution XML-DEM (XML-Data Exchange Manager) will be used, a new version of which was released by Mindcore less than a month ago. The updated version of the unloading algorithm has been redesigned for the new platform with role-based interface (version NAV 2013-2016), in addition, the code was rewritten in .NET. As a result, the speed of data export and import increased several times. 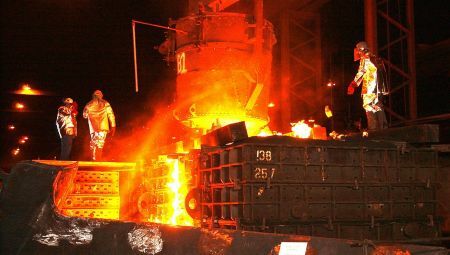 «Seven Refractories company has chosen Microsoft Dynamics NAV, since the same management accounting automation system is already in use at the head office, – Alexander Baikov, Mindcore Director of Partnerships commented. – This project embodies our conception of the perfect automation for the international companies that have branches in Russia. Operational and business management is maintained in a single information environment, considering the peculiarities of Russian reporting standards and at the same time the integration with the usual accounting systems for the local market is provided. I should note that in Slovenia Seven Refractories cooperate with our partners – Business Solutions (BS)». Seven Refractories is a Slovenian company with the international presence (Slovenia, Germany, Austria, Italy, Ukraine, Kazakhstan, Russia) – manufacturer, supplier and seller of refractory materials. The company also provides consulting and project work.